The Karas Kustoms Render K is filled with a Pilot Hi-Tec-C 0.4mm black refill. These two have been hanging out in my pocket an awful lot lately. The Hi-Tec-C plays nicely with the paper in the Field Notes pretty well. I’ve been enjoying my time with the Render K as well. It’s built like a tank and I never have to worry about bending the wrong way or sitting on it when pocket carrying the pen. The knurled grip part is addictingly fun to play with. I like to spin the cap and see how tight I can get it on there, once you try it, I’m sure you’ll find yourself doing so more often. Did you get it directly from Karas or is there a secondary source? A friend sent this one to me, but it came from them. I know they sell to a few retailers, but for the most part they are the source. I like it and am interested in buying one. 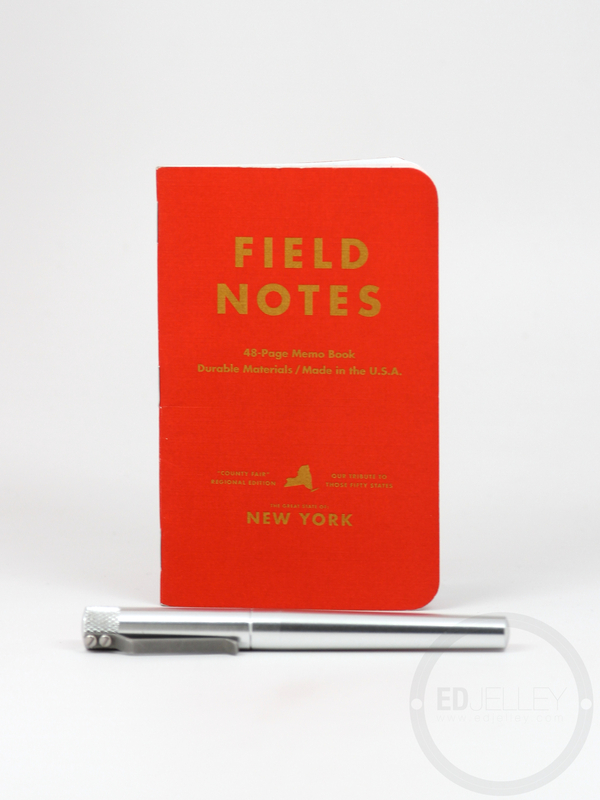 I have just got hold of the Render K after much deliberation and I agree, Paired with a Field Notes you cannot go wrong!